Drake has already started his Summer Sixteen tour off with Future with a bang by calling out rivals Tory Lanez and Joe Budden on stage. 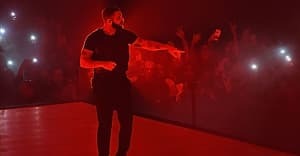 During his July 21st show at the American Airlines Center in Dallas, Texas, Drake also showed his commitment to his fans when he performed 35 minutes past the venue's strict midnight curfew. According to TMZ, American Airlines Center charges a $6,500 fine for every 15 minutes after curfew and Drake left the stage at 12:35 p.m., meaning the overtime cost him $13,000 in total. Drake seemed completely happy to take the fine, as he asked the crowd how long they wanted him to stay. “What you wanna go like a hour 15?” Drake asked the crowd in a video via TMZ. “You wanna go like a hour 30? You trying to go for the two piece? I’m trying to go for the two piece too. So if it cost me money, Dallas, Texas, it’s on me." Watch below.